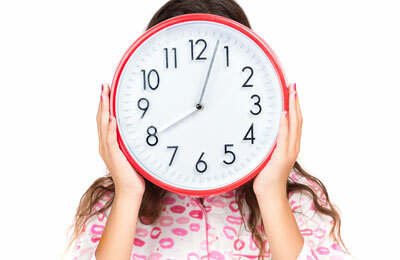 On Sunday, March 12 we spring forward one hour. It is the perfect springboard into power struggles over bedtime and wake up routines because our body clock does not switch as quickly as the clock on our phone. A good night’s sleep doesn’t begin with your bedtime routine. It starts in the morning. All day long we make decisions that either help to “set” the body clock, allowing the brain to know when to be awake and when to be asleep, or innocently disrupt it. If nap or bedtime at your house has become a marathon wrestling match requiring more than 45 minutes of struggle to get the kids down, there may be a simple solution. Catch the cues – earlier.